Work for RepHax and get free cheats! We offer an underground service most of you aren't aware of, today I thought I'd explain to you how this implementation of our works! 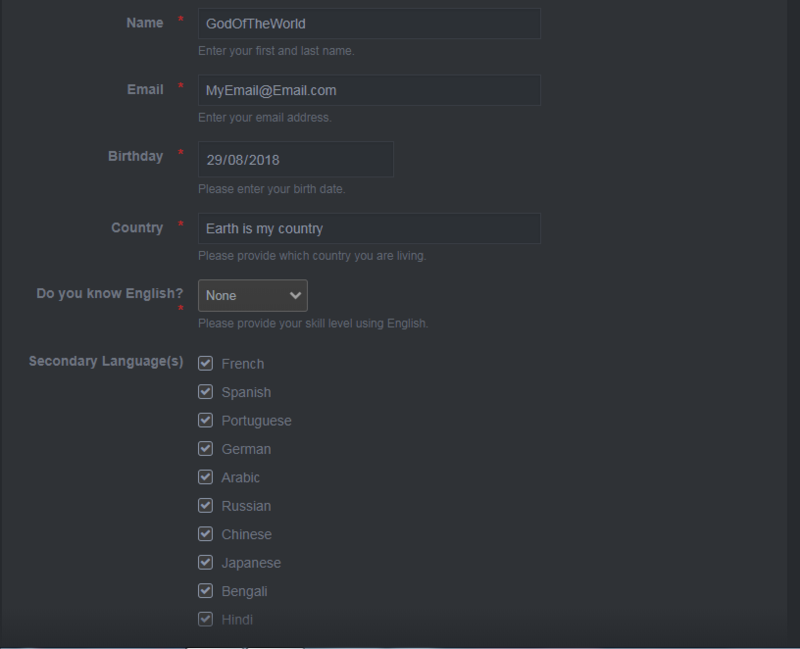 Disclaimer, this is an informative post, not a way to get free cheats! A limited amount of individual is chosen, first arrived, first served. 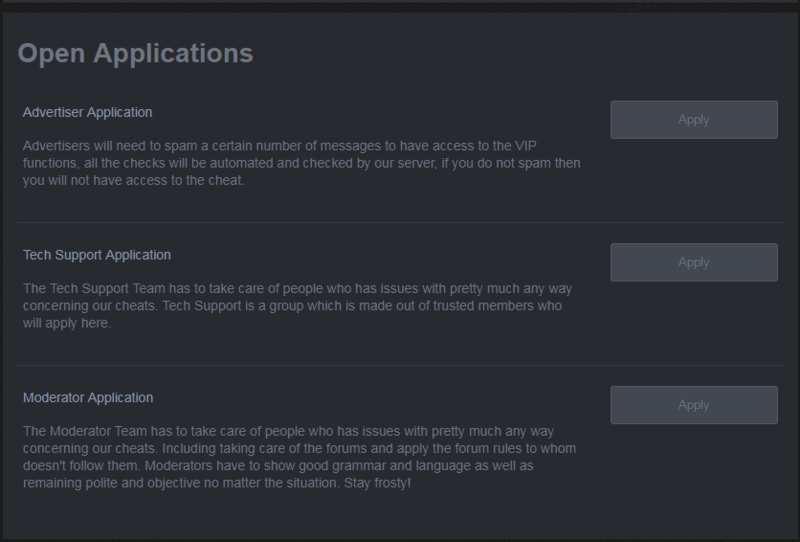 On the forum page, a staff application page is displayed, forward there! You will see there are different application choices. You wanna go to Advertiser. Apply! Once clicked you need to fill out this easy form, give us a general idea of who you are! After you press ¨Save¨ your form will be sent to Please login or register to see this link. And forwarded to the team for a full review! Now to obtain free cheats you have to spam in-game, the free cheats have the option to do so in the menu. The more you spam, the more time for the cheat you get! 1h+ of spamming a day is required to meet our expectations! If not our system will warn us, our system automatically distributes VIP time to users. Everyone has to try his luck. No matter if you get all futures for free. That makes you proud enough to be part of team like Repulsive's. Awesome boys & girls. I hope one day I will help more than usual to everyone whos using this cheat. I'm really want to work with you guys. Please login or register to see this link. speak English, this is an indirect warning. Pub probably won't be updated, VIP is the way!